Hello dolls! I'm Autumn from The Busy Bee and I'm here to share a little recipe with all of you. Let's be honest here, Macarons are a labor of love. Everything has to be just right to make the perfect patties. 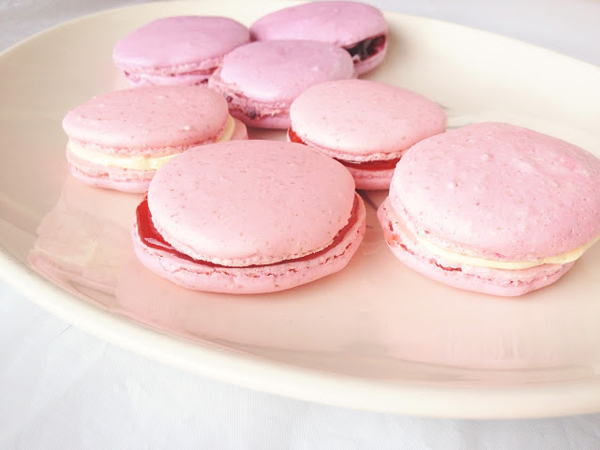 I've done a ton of research on how to make a successful macaron so I thought I would share all the tips and tricks that I've learned during my baking journey. 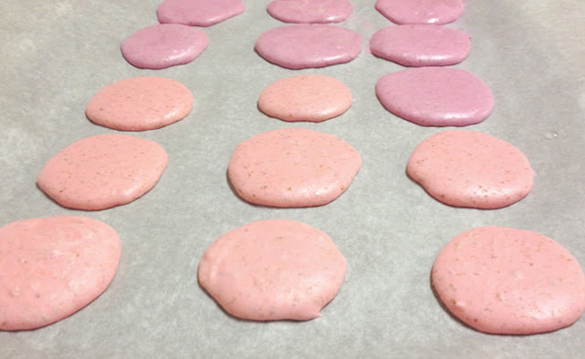 I don't claim to be an expert, these are just the tricks that work for me and a lot of other french macaron makers. If you can conquer these babies you will have the perfect little treat for every occasion! // If you would like to make your Macaron shells chocolate substitute 1/4 of your Almond powder for Cocoa Powder. Fillings are the most fun because you can get super creative! I followed the above recipe courtesy of Martha Stewart but made my own tweaks. The first thing that makes a big difference is the treatment of your egg whites. For a great stiff meringue and the perfect shell you need to used room temperature aged egg whites! Crack your eggs open and sift out the yolk. Let them sit over night at room temperature so that they stiffen and most of the moisture in the egg white evaporates. This does wonders! The second change I made to the original recipe is how long I let my shells sit before popping them into the oven. Martha says to let them sit for 15 minutes, and I'm sure if you're in a huge rush that's okay... but if you ask me you should never be in a rush when it comes to macarons. Let those babies rest for an hour. Don't touch them, don't even look at them....seriously. Let them sit so that the outside skin hardens, this way when you bake them they won't crack and will rise perfectly. The more you play with them the more you break down the elasticity in the meringue. Patience is a virtue. The more rushing you do making macarons the higher chance of something going wrong. Make sure you sift your ingredients several times, make sure your egg whites have rested, and let your macaron shells rest. All of these steps are crucial for the process, don't skip or cut corners! At the end of all your hard work you'll be so glad you waited! 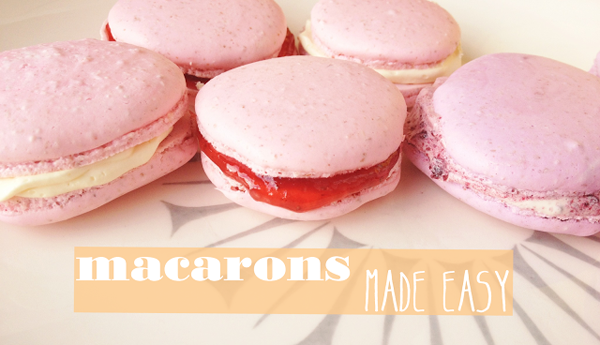 I hope you all try your hand at macaron making! If you have any questions feel free to leave them in the comments and I'll do what I can to help you out! Good luck!